Every year, there´s a gathering of 30 accounting professionals in Prague. TULIP proudly supports this conference. Let´s have a look at the 2018 presentation summary. 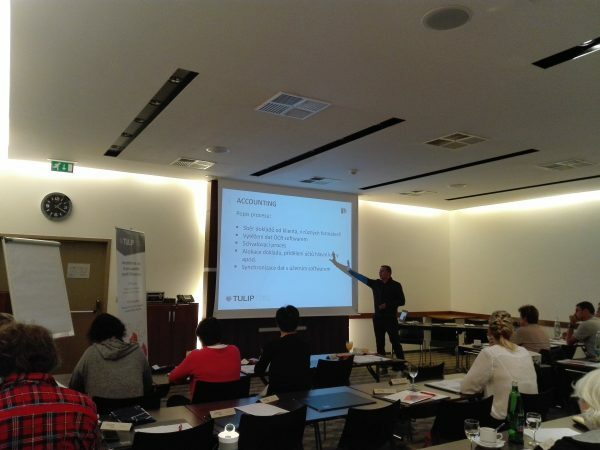 In the morning, the conference kicked off with Mr. Vodička´s presentation. He focused on a documents´ life cycle, electronic identification and the current status of legislation on digitalization. Mr. Vodička of course also had to mention GDPR and its effect on digital accounting. As an experienced speaker, he knows that these themes can be quite exhausting. That´s why he always breaks things up with some funny anecdotes, gifs and images. For us, the winner was one story from a company that had the passwords for accounting software written on the company board at the office . It was TULIP´s time after lunch, where we were represented by Viktor Mečiar and Jana Vasilenková (from Accace, our partner company). 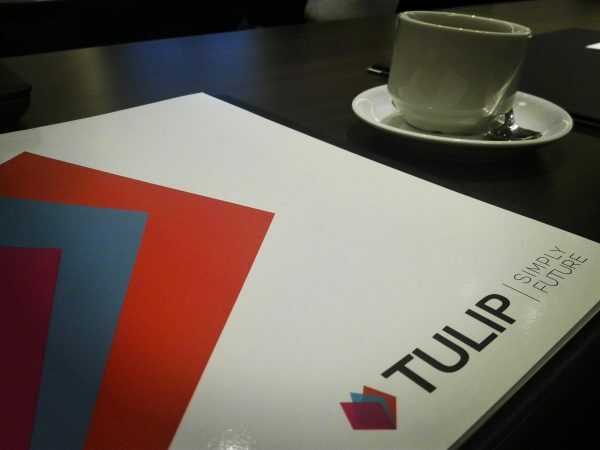 We described our accounting digitalization, TULIP platform creation and the problems we faced during the process. But the main focus of the presentation was on the future and how A.I. might have an impact on accounting. In one part of it, we presented our own future platform. TULIP and Accace are in the process of creating a new service that will check if the documents were correctly booked (by pre-set rules). In this case, an accountant would only need to intervene if there were some errors. The process would be automatic, and the system would self-learn the rules and adapt to new cases. The project is called „book bot“, and for now, it´s just a prototype. But the interest of the audience convinced us that we are heading in the right direction. The end of the conference belonged to Mr. Zdeněk Burda (Tax advisor/legal specialist). Looking at digital accounting and legislation from a legal perspective is always interesting. The audience proved that by actively asking questions until the end of the day. Previous Post Another year, another “Elektronické účetnictví 2018” conference. We´ll be there, will you? Next Post TULIP´s summary of 2018. How did it go?